Just as he was about to show it to the church member, the man accidentally pulled the trigger without realizing the gun was loaded. About 20 elderly people sat down for an early Thanksgiving meal Thursday at a church in East Tennessee, unaware that the pleasant afternoon would take a grim turn. During their meal, they decided to discuss gun safety in light of recent mass shootings - an idea that came to them after a neighboring county's sheriff's department chose to hold similar seminars at its local churches, said Tellico Plains Police Chief Russ Parks. 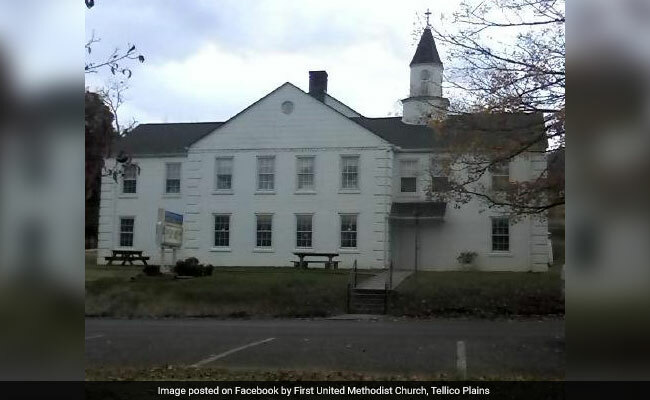 "Well, I've got my gun on me," an 81-year-old member of First United Methodist Church in Tellico Plains said, according to Parks, whose department investigated the incident. He pulled out his holster, which held a .38-caliber Ruger handgun. He removed the magazine, cleared the chamber and showed the gun to the other parishioners. They talked about how to safely bring guns to church - and how sad it was that so many people nationwide had been killed in recent mass shootings. Earlier this month, a gunman killed 26 people when he opened fire with an assault-style gun during Sunday service at a small Baptist church in Sutherland Springs, Texas. 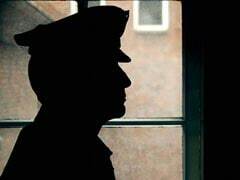 The 81-year-old man put the magazine back into the gun and put the gun back in the holster, Parks said. Later, while people were cleaning up, a church member who had missed the demonstration asked to see the weapon. A bullet fired across the palm of the 81-year-old's hand and toward his 80-year-old wife, who was sitting in a wheelchair next to him. It ripped through her lower left abdomen, out the right side of her abdomen, into her right forearm and out the backside of her forearm. The bullet then struck the wall and ricocheted, landing under the wife's wheelchair, Parks said. Panic swept the church. Most people weren't aware of the second demonstration and - having just discussed mass shootings - assumed an active gunman entered the church. "They had their backs to it," Parks said. "Somebody hollers, 'He's been shot! She's been shot! Call 911!' So someone grabs their cellphone and calls 911, and says we've had somebody shot at church." What came next was a muddle of misinformation. The dispatcher answering the call shortly after 1 p.m. assumed someone had entered the church and was shooting. As a result, the local hospital and several local schools were put on lockdown, Parks said. Because of their old age, Parks said, the husband and wife were flown to the University of Tennessee Medical Center in critical condition. About 45 minutes later, police realized someone had accidentally discharged a handgun. The hospital and school lockdowns were lifted, Parks said. The husband and wife's conditions have been stabilized as of Thursday evening, Parks said. The couple's family has asked their names not yet be released. No charges will be filed, Parks said.